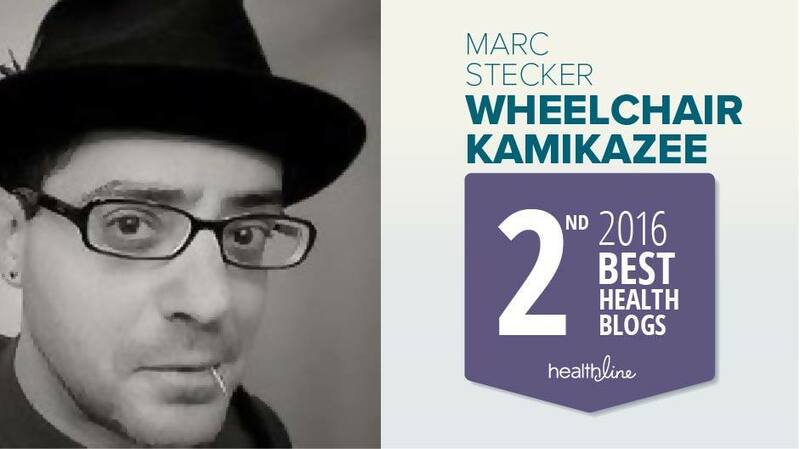 The good folks who administer the website MultipleSclerosis.net (click here) and I have reached an agreement to publish 20 essays from the Wheelchair Kamikaze archives on their site. 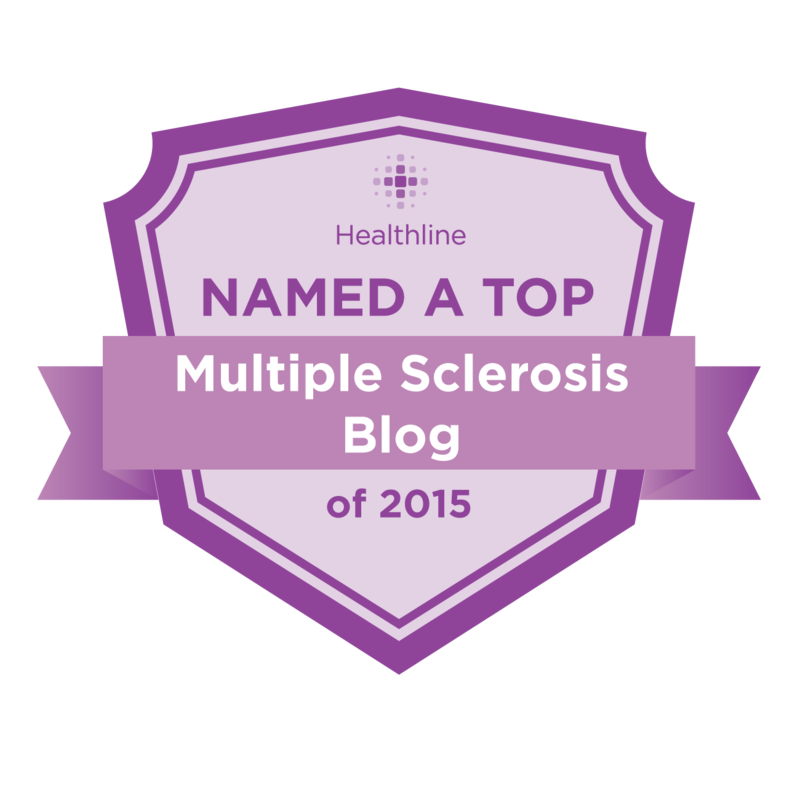 MS.net is a wonderful resource for MS patients and those who love them, filled with the latest MS news as well as insightful articles and essays by folks dealing with the disease in all its forms. Lots of good stuff there, all of it high-quality. Best as I can figure, the fact that they decided to include some of my essays must be due to some sort of clerical error. The initial WK essay published on MultipleSclerosis.net is a post that first appeared on this blog in July, 2009, entitled “The Problem with Progression” (click here). Back then I’d only been writing Wheelchair Kamikaze for about six months, and had been in a wheelchair for one full year. 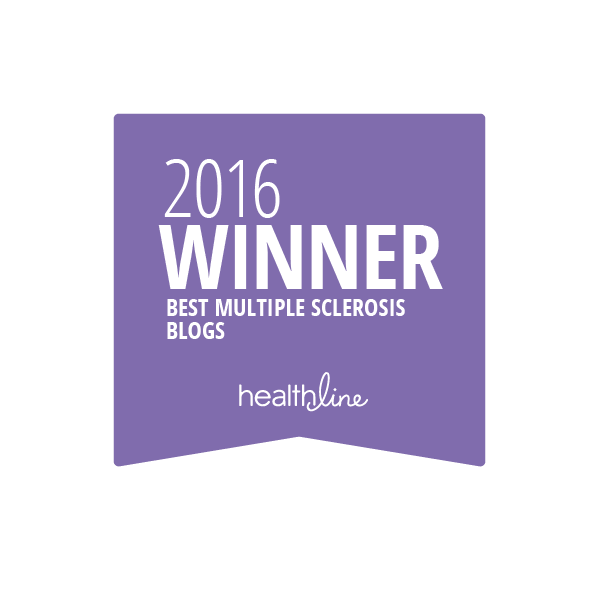 At the risk of stating the obvious, the essay deals with the progressive nature of Multiple Sclerosis disability. In it, I state that “the problem with progressive neurologic diseases is that they progress”, a sentiment which may seem self-evident but carries quite a wallop. When I was first diagnosed I listened in a befuddled haze as the doctor talked about the need to try to minimize something he kept referring to as disease progression. I’d no idea what he was talking about, but I sure would find out in the months and years to come. Even in those early days it was clear I had progressive neurologic disease, with few if any viable treatment options available. Since then, new disease modifying therapies and even some alternative approaches have proven to have significant positive impact on many afflicted with the relapsing remitting form of MS, but though the attention of researchers is finally shifting to progressive disease there remains precious little in the way of effective therapies for us “progressives”. The roughly 6 years between my initial diagnosis and my writing “The Problem with Progression” had seen the disease wreak havoc with my life. I’d gone from having a slight intermittent limp to requiring first an ankle brace, then a cane, and finally an electric wheelchair. I’d been busily employed in a high profile industry but was now 2 ½ years into my forced retirement, had seen my social life diminish from flame to flicker, had witnessed my body betray me in ways I’d never thought possible. Such a tremendous amount of upheaval in such a relatively short amount of time, my body caught tight in the grip of a seemingly insatiable beast, my mind buffeted by an emotional whirlwind, my intellect left to desperately try to sort it all out. Given the alarming rapidity of my disease progression, I wrote about the difficulty of processing the losses already visited when the prospect of losses to come loomed ominously on the horizon. The flipside of looking back to mourn the wounds already inflicted is looking forward and anticipating the insults yet wrought, leaving little room in which to find some measure of solace. The opening paragraph of “The Problem with Progression” talks about the realization that I’d very likely soon need to use my wheelchair inside my apartment, when at the time the mechanical monster had been used exclusively out-of-doors. Well, that little prediction did indeed soon come to pass, and now the notion of my walking from the bedroom to the living room seems about as likely as my being elected Pope (quite the long shot for a Jewish guy from Queens). Later in the essay I talked about how annual events had become markers of my disease progression, times when I could look back one year and assess the damage done over the previous 12 months. I used the example of the Super Bowl, wondering if and when I’d no longer be able to watch it from the comfort of my living room couch, or even be able to manipulate the TV remote. It’s now been at least four Super Bowls since I’ve watched the NFL championship game – or anything else, for that matter – from that couch. Instead, all of my TV viewing these last few years has been done from the vantage point of my wheelchair, which is at once both a constant reminder of my imprisonment by the demented captor that is MS, and the key that keeps me from being completely swallowed up by the dungeon of disease. The six years that preceded my writing “The Problem with Progression” witnessed MS completely reshape my existence in dramatic fashion. The five years since, though, have seen the changes become much more incremental, but in some ways perhaps even more insidious. The psychological hurdles presented by being forced by the disease to totally change almost every aspect of my day-to-day existence in the half-dozen years following my initial diagnosis were big-ticket items, readily identifiable monoliths with which to emotionally grapple. Now, although the disease continues to progress largely unabated, the changes are more discrete, much less apparent to anyone but me and my closest observers – increasingly clumsy fine motor skills in my one still usable hand, a sometimes crushing fatigue, muscle spasms that pound away in the dead of night. Most of the blatantly obvious milestones have already been reached, but each passing year finds me still weaker and less able. Creative adaptations allow for a semblance of equilibrium in quality of life, but at some point, barring some much hoped for intervention, the mounting deficits will defy adaptation. The difference between the earlier, more obvious stages of my disease progression and that of these later years is kind of like being dragged under water. Once your head goes under the surface, all anybody looking from above sees is that you’ve submerged. The only one who can feel the increasing pressure and mounting darkness of being dragged deeper and deeper into the murky depths is you, the marvels of fresh air and sunlight drifting off as if they were only half remembered fragments of a long-ago dream. It’s testament to the power of the human spirit that life beneath the waves still holds elements of wonder, sparks that continue to shine brightly once the effort is made to clear away the shade. Though the disease progresses so too does the desire to defy it, to stake a claim in a world turned upside down. I may not get out and about as much as I used to, even in the wheelchair, and the rigors and stresses of the disease – both physical and mental – may dictate submission to constraints I long to throw off, but I’m still here, dammit, occasionally licking my wounds but nowhere near willing to raise the white flag. Dragged under the sea of disability I seem to have managed to grow gills, and though I acknowledge and accept that there are depths below which there can be no survival I maintain hope that somehow, someway, I’ll break the grip of MS and once again bob to the surface. In the meantime I’ll simply do the best I can, even if this year’s best pales in comparison to that of only a few years ago. The problem with progression may indeed prove to be unsolvable, but it won’t be for lack of trying. 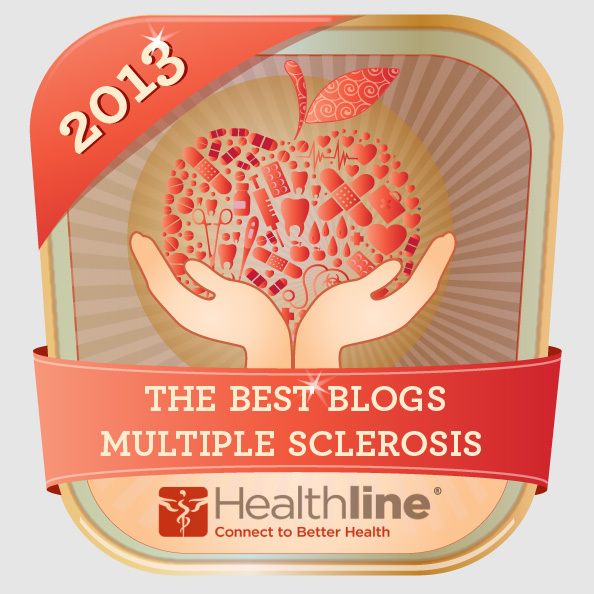 Oh, the many pleasures of Multiple Sclerosis. In addition to the physical and psychological toll taken by the disease, MSers also have to deal with a medical establishment that at times seems purposely set up to make being sick as hard as possible. Here in the USA, one of the most infuriating components of that medical establishment is quite often the private health insurance companies, upon whose whims many patients rely on to pay for such superfluous luxuries as vital medications, essential treatments, and indispensable mobility devices. In my 11-year career as a patient with a progressive disabling disease I’ve been subject to an almost countless number of frightening medical procedures, the prospect of any one of which would have made the healthy me ruin my pants. Despite the horrid nature of some of these procedures – from needles in the spine to having tubes the size of fire hoses stuck into my veins to tests involving electric shocks of varying intensities – I’d have to say that the source of some of my most prolonged periods of agony have been long and drawn out battles with insurance company telephone tormentors who seem trained by the spirit of Marquis de Sade himself to extract as much psychic pain as possible while doing their god-awful best to avoid providing even the merest dribble of satisfaction. Given my numerous nerve-racking experiences dealing with the insurademons, it was with great relish that I read the heroic man versus insurance company saga of Mr. Dave Bexfield, which was recounted in the August 3, 2014 edition of the New York Times (click here). I’ve been acquainted with Dave, at least in the virtual sense, for several years through our interactions on various Internet sites, forums, and email. We finally actually spoke to each other last week, as I was preparing this piece. Dave is the creator of the website ActiveMSers (click here), a vital resource for MS patients looking for inspiration and info on how to stay as physically active as possible. 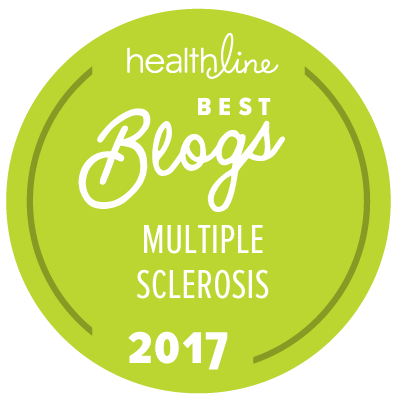 The site includes Dave’s blog, interactive forums, tips and tricks, and reviews of all kinds of gear designed to help people with MS stay in the game, so to speak. Back in 2010 Dave underwent HSCT (hematopoietic stem cell transplant), a stem cell procedure that, in a nutshell, gives MS patients (or patients with a variety of other so-called autoimmune disorders) a new immune system by first destroying their old one through the use of powerful chemotherapy agents, and then resetting it via a stem cell transplant. For more info on the procedure, please refer to my last Wheelchair Kamikaze post, in which I wrote extensively about HSCT (click here). 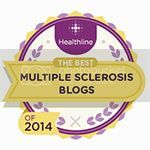 The treatment successfully put the brakes on Dave’s very aggressive relapsing remitting multiple sclerosis, but also left him $200,000 in the hole, a situation which precipitated an epic four-year Battle Royale with his insurance company. In order to fully understand the majesty of Dave’s victory over his insurance company, I think a little background is in order. Back in 2005, Dave experienced his first MS symptoms, in the form of vision problems and strange sensory experiences. A few months later he suffered his first full-blown relapse, which resulted in the entire right side of his body going numb. After going through the usual diagnostic workup (MRIs, spinal fluid analysis, etc.) he received a verdict of MS. Over the next four years, despite being on the disease modifying therapies Copaxone, Rebif, and finally Tysabri, Dave’s disease slowly progressed, with intermittent relapses, until very suddenly a number of severe relapses put his MS progression into hyperdrive, leaving him at times barely able to take a step. Just as he was reaching the point of desperation, Dave learned of an National Institutes of Health (NIH) sponsored HSCT study being conducted at the MD Anderson Cancer Center in Houston, Texas. He was accepted into the study, and was deemed the ideal candidate because of the very aggressive nature of his RRMS and his corresponding diagnostic test results. Unfortunately, after receiving this good news came some bad. Due to cuts in the federal budget, the National Institutes of Health, though still involved in the study, could no longer pay for the treatment. If Dave was to participate he would have to cover the entire $200,000 price tag himself. Yikes, to say the least. Dave lobbied his insurance company for financial assistance, but his pleas were rejected outright because of the experimental nature of HSCT treatment. Ultimately, Dave managed to cobble together the $200,000 by draining his savings and through the generosity of his immediate family. Dave underwent HSCT in 2010, and though the treatment itself was no picnic, it did successfully slam the brakes on his multiple sclerosis, which had turned so aggressive that Dave believes the treatment saved his life. He’s had absolutely no relapses or further progression of his disease in the four years since undergoing HSCT. Of course, there’s no guarantee that his disease won’t mount a counteroffensive at some point in the future, a possibility which he acknowledges, but what MS patient wouldn’t gleefully accept at least a four year truce with their disease, during which the progression of their illness was stopped cold, free from drugs or any other form of treatment? You can read more about Dave’s HSCT experiences on his website (click here). One might think that this would be the happy end of the story, albeit one with quite the hefty price tag. Just a few months after his stem cell treatment, though, Dave’s insurance company suddenly decided that it would indeed start paying for some forms of stem cell therapy for multiple sclerosis patients, though no such therapy had received any kind of official approval for this use. Dave contacted the company in an attempt to get reimbursed for his treatment expenditures, but was told that he was too late, and that the timing of his claim was simply “unfortunate”. Thus began a gargantuan four-year battle between Dave and his insurer, one which found Dave, with dogged (some might say maniacal) persistence, going to extreme measures to try to prove his case. Through the magic of Google he managed to uncover confidential files that directly contradicted much of what his insurance company was telling him – that they were merely following government mandated guidelines, and thus really had no choice in the matter – and Dave even went so far as to file a Freedom Of Information Act request to uncover yet more evidence of malfeasance on the part of his insurance company. You can read a more extensive, blow-by-blow account of the cage match between Dave and his insurance company on his website (click here). This David Bexfield versus Goliath story is an extreme example of the trials and tribulations many patients with chronic diseases face when trying to deal with their insurance companies. The problem boils down to a basic conflict of interest: though the insured are the insurance companies’ customers, they are also the determining factor in how much revenue these companies ultimately generate, even if they operate as nonprofit organizations. The less money an insurance company has to pay out to its customers, the better its bottom line. 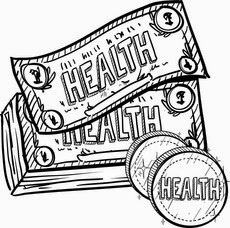 In a world where the profit motive trumps all else, this dynamic can set up some dicey situations for sick people trying to get the best health care possible, and even for those just trying to get the basic necessities required to live with their disease. My own experience with health insurers has been almost schizophrenic. At times these companies have been incredibly cooperative, yet on many other occasions they seemingly took their tactics directly from the handbook of the Spanish Inquisition, making the prospect of dealing with their telephone representatives as appealing as an invitation to a potluck dinner at Hannibal Lector’s place. I can identify no rhyme or reason behind these vacillations in the behavior of insurance companies. In fact, many times they seem counterintuitive. For example, this past fall, my insurer unhesitatingly approved my being treated with a rarely used and extraordinarily expensive drug, to the tune of $150,000 (the treatment turned out to be an absolute disaster, which you can read about by clicking here). 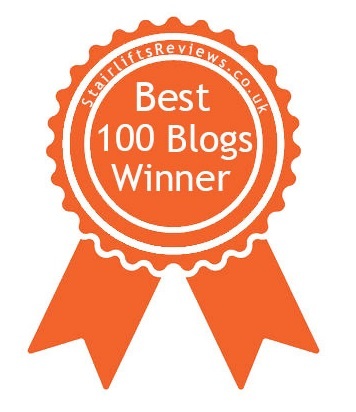 Yet, only a few months before, this very same company had me alternately begging, screaming, whining, wailing, bellowing, whimpering, and very nearly bursting several very important blood vessels while trying to get approval for a new wheelchair, without which I would have had to change the name of this blog to Bed Kamikaze. The twisted and convoluted course of my six-month struggle to get a piece of gear that was an absolute necessity at times had me questioning my own sanity as well as the very notion of a just universe, and whether or not I might somehow have been drafted into the dyspeptic nightmares of a sadistic surrealist who had eaten one too many enchiladas right before bedtime. My wheelchair saga played out over an innumerable number of phone calls, and it often seemed as if the Insurafiends were inventing new tactics and excuses even as I was talking to them. My wheelchair provider was “out of network”. Yes, but I had out of network coverage and was willing to pay the portion not covered by my insurer. Paperwork faxed to the insurance company mysteriously disappeared in the Bermuda triangle that apparently existed between my wheelchair vendor’s fax machine and theirs, and when by some miracle it was finally received on their end (with confirmation), it was inevitably lost “in the system” or found to be lacking some key bit of information or arcane equipment code, thus requiring the process to begin all over again. In the years since my diagnosis, I’ve learned that all of the convoluted tactics employed by the health insurance companies to keep from paying legitimate claims can be boiled down to three words: delay, delay, delay. Their goal is quite simply to wage a war of attrition, frustrating the claimant with technobabble, feigned incompetence, and arbitrary rules and regulations until the sick person gives up due to frustration, physical and mental exhaustion, or the mistaken belief that they are somehow in the wrong. The insurance companies have nothing to lose by playing these games; the longer they hold onto your money the more interest they earn on it, and in fact many if not most claimants do eventually wave the white flag after months or years of interminable mindbending insurabullshit. All of this corporate hornswaggle would be bad enough if it were employed only on the hale and hearty. However, the hale and hearty aren’t typically the ones filing claims with their health insurance companies. During the trench warfare in which I was forced to engage in order to get a new wheelchair, in times of desperation I would remind the Insurabeasts on the other end of the line that they were talking to somebody who was just about three quarters completely crippled. And that this cripple was only trying to get himself a new wheelchair, which due to my progressing crippledness had become an vital requirement. It wasn’t as if I was trying to get them to pay for a spa vacation in Shangri-La. No matter, rules are rules, even when they are invented, bent, and broken by the very people spouting them.